Each day, I answer one free question regarding legal issues. Licensed to practice since 2008, Thomas Howard has represented numerous financial institutions in litigation to enforce their security interests. He helps community banks in complex commercial workouts involving some of the most sophisticated financial products in the banking industry. He has also litigated in contested contract cases on various legal theories. 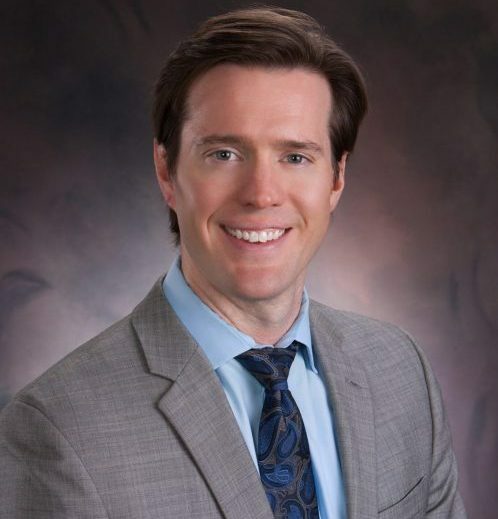 After nearly ten years of practicing law with his father, Mr. Howard joined Hall Rustom and Fritz to help other businesses and people with complex contract deals with collateral. To assist downstate community banks with flat fees for uncontested litigation, he has designed and built the Collateral Basewebsite, where he publishes regularly on security interests and offers his flat fee menu of services. He also built automation systems into his bank litigation practice to facilitate his flat fee offerings. Uniform Commercial Code issues, replevins, guaranty actions, and bankruptcy. He has successfully resolved numerous multi-million dollar non-performing loans for many community banks throughout Illinois. 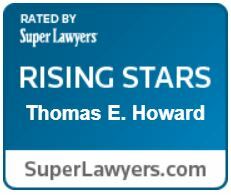 As a result of his efforts, Mr. Howard earned Rising Stars by Super Lawyers, and as an Emerging Lawyer by Leading Lawyers from 2015 to 2018. Only two percent of attorneys ever receive such distinction. Thomas Howard Lawyer That Enjoys Web Development. Thomas Howard also develops websites and various software applications for his legal career. WorkVisas.Solutions expands his offerings to businesses that have corporate immigration needs to keep the world’s best talent working in the United States. 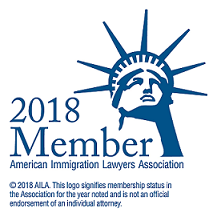 Mr. Howard is a member of the American Immigration Lawyers Association (AILA) and sits on the Illinois State Bar Association’s (ISBA) section council on Immigration Law. Mr.Howard owns a tech company named Stumari, which he uses to expand his service offerings into the issues faced by tech companies in their privacy policies, terms of service, contracts with developers, business formation and fundraising issues. Additionally, he builds websites for lawyers and businesses seeking to get more clients from internet traffic. Mr. Howard advises businesses and financial institutions in the the incipient marijuana industry. He frequently publishes articles on the same and has even published a book on the history of the marijuana laws. He often posts YouTubes regarding issues faced by the cannabis industry, and advocates for allowing cannabis businesses to access banking services by dropping cannabis from the Controlled Substances Act, which requires an act of Congress. To further develop his cannabis practice and help the state of Illinois transition from medical to full adult use of cannabis, Mr. Howard designed and built CannabisIndustryLawyer.com. Commercial Collections, Banking and Bankruptcy. Thomas Howard received his B.A. from Illinois Wesleyan University in 2002 and J.D. from Marquette University Law School in 2008. After completing law school he earned his Series 7 & 66 securities licenses and briefly worked as a stockbroker before using his law degree to work through the mortgage foreclosure crisis from the market crash of 2008. In 2013 he began building software. By 2018, Mr. Howard blended tech into his practice by building websites like this one. He spends his free time practicing yoga, and improving SEO and user experience – and building digital marketing campaigns for his company, Stumari. Does your business have a question? A business attorney that provides counsel on strategic operations – as well as litigation support.